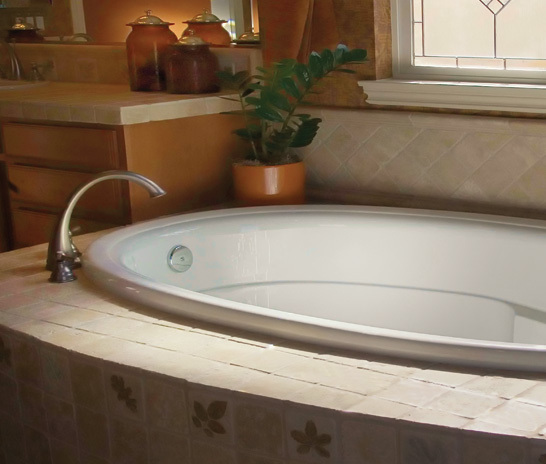 The Riley 7242 whirlpool tub has classic comfort and style. With repeating soft edges, the Riley 7242 large oval-shaped design is emphasized in the very comfortable armrests and contoured backrests. This whirlpool tub also features a molded built-in lumbar support. Call 800-720-1062 for more details. 42" x 72" x 21"